Who are the Sioux Center Christian School administrators? Meet us by clicking on our names below. We're happy to serve with you at Sioux Center Christian School! As head of school, Mr. Bowar works with the areas of school finance, the board of trustees, strategic planning, community relations, enrollment, personnel, school policies, personnel, inclusive education, PACE, and school safety. He supervises and leads the 7-8 and inclusive education faculty and oversees accreditation, facilities, and athletics. I grew up in a small town in South Dakota and had no experience with Christian education until I went to Dordt College. After that, I was hooked. I met a nice girl from Prinsburg, MN, and now I'm married to Alicia, who works at Dordt College, and we live in Sioux Center. I like to spend time with family (including my nephews and nieces), travel, read, volunteer, and participate in the local community life. As head of school, I love coming alongside teachers, staff members, students, and parents as we work toward a goal together. SCCS is a perfect fit for me. I feel that my talents and gifts are being used to their fullest potential here, and the dedication of our teachers is second to none. We have an amazing faculty and staff that wants nothing less than a quality, Christ-centered education for all of our students. And we work hard and do our best to make that happen. I also love Christian education. It's important to me that we look at the whole child as we educate, disciple, and bring them closer to God. Working with kids is still my favorite, and I love brainstorming, dreaming, making a plan, and seeing it through. I believe that children are created in God's image, and we've been called in a Christian school to develop their gifts and to help them understand and appreciate God's world and Word. As I look back on my life, I can see clearly that God has a master plan and that He cares for me. I've made mistakes and have had set-backs, but I rest in knowing that Christ saves me from my sins and that forgiveness is readily given. I want to share the love of Christ with others and support them in their work. As my personal mission statement says, I seek to faithfully use my gifts to help others use theirs, leading by serving, learning by listening. It's my prayer to do that every day at Sioux Center Christian School, leaning on God and my colleagues for support. As Director of Learning, Mrs. Mouw oversees and supports curriculum, instruction, assessment, and faith nurturing at SCCS, including Teaching for Transformation. Teaching for Transformation is a framework that invites our students into God’s Story. This framework gives teachers the tools and training to nurture and empower students to be a part of the Story. 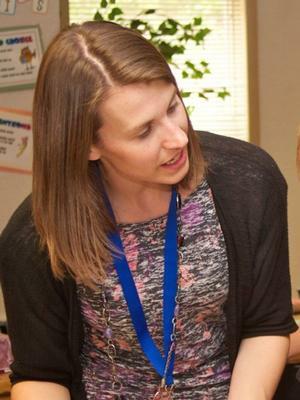 Mrs. Mouw also leads professional development, as well as chapel and our school storyline experiences. She supervises TK-6 and specials teachers and facilitates student behavior support. I was born in Sioux Center and grew up in several towns throughout Iowa. I was blessed to be raised in a Christian home, where my faith was nurtured from day one. I attended Christian schools in the towns where that was an option, but spent much of my childhood in public schools. It was my experience at Dordt College that shaped and grew my desire for Christian education. My deep appreciation for Christian education stems from not always having that opportunity growing up and wanting this for my kids. After my husband attended law school in Iowa City, we lived in Des Moines, before moving back to Sioux Center to raise our family. Our 3 kids are current students at SCCS. I especially love being a part of the school community my kids are a part of. I am passionate about teaching, learning, and nurturing kids in their desire to love and serve God. In my free time, I enjoy reading, running, and spending time with my family. 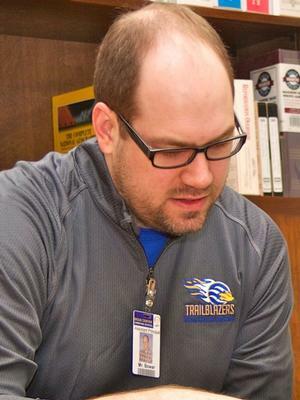 I chose to serve at Sioux Center Christian School because of the amazing Christian community it is and the commitment of this body of believers to teach from a distinctively Christian perspective, nurturing each child as uniquely designed by God with an important role His kingdom. We have the freedom to invite and connect kids to God’s story in all aspects of life, in order that they may truly understand their part in His story, and embrace Christ as their Savior.